Product prices and availability are accurate as of 2019-04-03 16:20:59 EDT and are subject to change. Any price and availability information displayed on http://www.amazon.com/ at the time of purchase will apply to the purchase of this product. 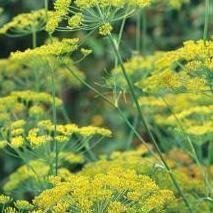 Fernleaf Dill is easy to grow and very tasty with the tangy flavour of fresh Dill that complements fish and vegetable dishes. It can reach 18 inches high. It is great for the windowsill or a sunny garden. Its feathery leaves are so luscious and delicious that this plant won an 1992 All-America Selection.